Pain, suffering and despair dominate the lives of my people. With each new surge of violence, homes are looted and burned, sometimes with families still in them. Innocent civilians are being harassed, shot, raped, and even killed. My heart is breaking for the countless people who are losing their lives for nothing. My people have no choice but to run for safety and leave all their possessions behind—homes, cattle, and farms— because of fear of being attacked. 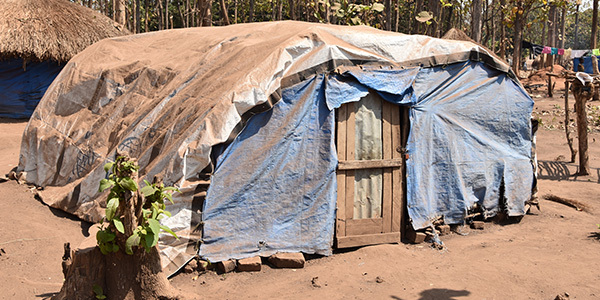 In my country the 2 million people that are displaced are now living in the bush or refugee camps where they are isolated from most basic humanitarian needs. One such place is in the small village of Riimenze. For over 7,000 people, home is now a makeshift tent on the grounds around the old church. These famished and poor souls are facing a grave shortage of food and are struggling to survive. I told my people we will never abandon or forget them. And with generous donors like you, we never will. This is why I must ask for your support and kind donation today. For just $1 dollar, you can provide a week’s worth of meals to a person in need in Riimenze. Your gifts can go so far to help so many. So please, give what you can today. 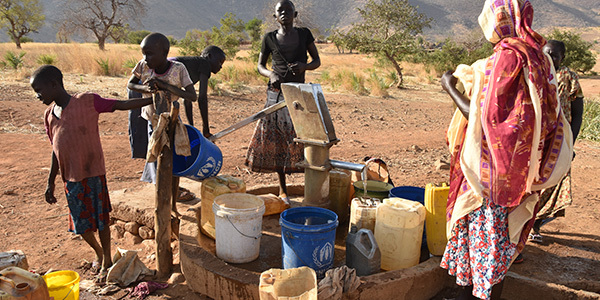 With the violence showing no end, the greatest challenge is to supply food and clean water to the growing number of families entering Riimenze. The levels of hunger and misery here are staggering! 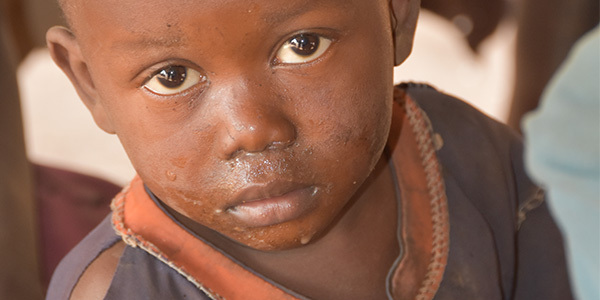 Many children are sick, and barely have anything, sometimes nothing, to eat. In an attempt to appease their children, some mothers will collect stones and put them into a pot of boiling hot water, in hopes that their children will be convinced that it is food that is being cooked. 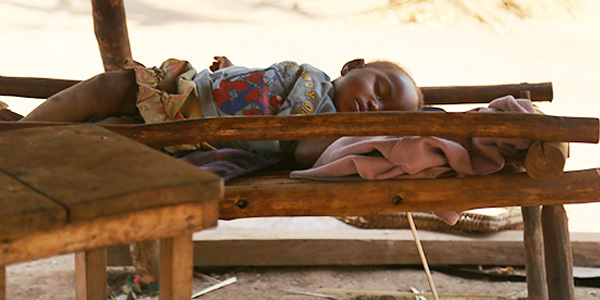 What’s worse, acute malnutrition is expected to rise, especially for young kids. The future of a generation is truly on the brink. Many of these defenseless children are not here because of choice, but because they fear for their lives outside of the camp. The situation is incredibly debilitating and we must continue to lend our support. For just one dollar, you can truly make a difference in the lives of the families in Riimenze. It not only provides meals for an entire week, but it also gives hope in the midst of suffering. Most residents in Riimenze once owned property and supported themselves. They are hardworking and self-sufficient individuals who wish nothing but to go back to their land so they can provide for their families. But instead, they were forced to run away to avoid being killed before they could harvest their crops. And now, they’ve lost everything, often including their loved ones, because of a civil war they never wanted. This is why your support is such a blessing. Your gift of any amount—large or small- is desperately needed to provide sustenance to the people facing starvation and the grim living conditions in Riimenze. Remember, just $1 is enough to save a life and provide meals for an entire week. With millions of innocent children and adults desperate for food, I also ask that you please pray for them. P.S. If you believe your dollar won’t make a difference, please think again: for just $1, you can provide meals for an entire week. Your donation is the difference between life and death.